The rising need of autonomy by the law enforcement agencies, commercial industries, scientific research organizations, and naval forces has driven the demand for autonomous ships and ocean surface robots. These vehicles are capable of carrying out maritime applications without the need for an onboard human operator. Additionally, the growing maritime challenges increase the demand for the autonomous ships and ocean surface robots to perform operations including environmental monitoring, seabed mapping, anti-submarine warfare, and underwater mine-hunting, among others. Moreover, these systems also help in detecting and tracking maritime threats in order to protect the nation from marine attacks. Major factors such as growing investment in marine robotics technology, advantages of utilizing autonomous cargo ships, and underlying advantages of incorporating electrically-powered engines are expected to create lucrative opportunities for the market in the next ten years. The autonomous ship market is expected to cumulatively generate a revenue of $3.48 billion by 2035, growing at a CAGR of 26.7% in terms of volume during the period 2024-2035. In terms of value, the global ocean surface robot market accounted for $505.7 million in the year 2017. • What was the market size of the ocean surface robots market in terms of value and volume in 2017, and what will be the growth rate during the forecast period 2018-2028? • What number of autonomous ships are commercially available in the market from 2024 to 2035 for optimistic, idealistic, and pessimistic scenarios? • Which companies are involved in the ecosystem of autonomous ship industry? What are the major developments by these industry players? • What is the market size of different modes of operations of semi-autonomous and fully-autonomous ocean surface robots? • What was the market value of different subsystems of ocean surface robots in 2017? What are the technological advancements in every subsystem? • What is the market analysis of end users of ocean surface robots, such as naval, commercial, scientific research, and law enforcement, on the basis of different applications? • What is the market size of ocean surface robots on the basis of the leading nations across different geographical regions? Furthermore, what is the market analysis of regions on the basis of different end users? • What are the key trends and opportunities in the ocean surface robot market across nations and regions globally? • What are the major driving forces that are expected to increase the demand of autonomous ships and ocean surface robots during the forecast period? • What are the major challenges inhibiting the growth of the global autonomous ship and ocean surface robot market? • What kind of new strategies are adopted by the existing market players to make a mark in the autonomous ship and ocean surface robot industry? • What is the competitive strength of the key players in the ocean surface robot market through market share analysis and player positioning model? • Who are the key players operating in the market, along with their business financials, company snapshots, key products & services, major developments, SWOT analysis and future programs? 7.10 Rafael Advanced Defense Systems Ltd.
7.14 Singapore Technologies Engineering Ltd. Figure 6.35 Key Factors Driving the Ocean Surface Robot Market in the U.S. Figure 6.41 Key Factors Driving the Ocean Surface Robot Market in the U.K. Figure 7.4 SWOT Analysis – Automated Ships Ltd. Figure 7.18 SWOT Analysis – Elbit Systems Ltd. 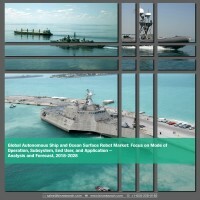 Figure 7.25 SWOT Analysis – Rafael Advanced Defense Systems Ltd. Figure 7.42 SWOT Analysis – Textron Inc.
With increasing seaborne trade worldwide, there is an imminent need to reduce the risk factors associated with the cargo, make room for more cargo, and automate the operations. Therefore, with the prospect of implementing autonomy in the ship industry, there is an increase in the demand for unmanned ocean-going vehicles and ships as they fundamentally eliminate the operators from the platform and allow new modes of operations. Ocean surface robots, popularly known as unmanned surface vehicles, come in varied forms and greatly depend on their intended function. Initially, the ocean surface robots were designed and developed for educational use. However, with continued advancements in the system, ocean surface robots have been increasingly utilized for environment data collection and monitoring, thus acting as more efficient and cost-effective solutions than the conventional ocean-going ships. Furthermore, autonomy is also used for cargo shipping, thus reducing the overall cost associated with crew handling. With the increase in the automation of operations, there has been a decrease in the cargo shipping cost, thereby reducing the average earning of cargo shipping service providers. Some of the key players in the autonomous ship and ocean surface robot industry are ASV Global (U.K.), Atlas Elektronik GmbH (ThyssenKrupp) (Germany), Automated ships Ltd. (U.K.), BAE Systems plc (U.K.), ECA Group (France), Elbit Systems (Israel), Kongsberg Gruppen (Norway), Liquid Robotics (U.S.), Rafael Advanced Defense Systems Ltd. (Israel), Rolls-Royce Holding plc (U.K.), Saab AB (Sweden), SeaRobotics (U.S.), Singapore Technologies Engineering Ltd. (Singapore), Textron Inc. (U.S.), and Thales Group (France). The autonomous ship and ocean surface robot market has witnessed a high growth rate owing to enhanced advantages of these systems in environmental monitoring and increasing need for maritime security. The rising need for autonomy in the ocean-going vehicles by law enforcement agencies, commercial industries, scientific research organizations, and naval forces has driven the demand for autonomous ships and ocean surface robots. These vehicles are capable of carrying out maritime applications without the need for an onboard human operator. In addition, the growing maritime challenges increase the demand for the autonomous ship and ocean surface robot to perform operations including environmental monitoring, seabed mapping, anti-submarine warfare, and underwater mine-hunting, among others. Considering an optimistic scenario, autonomous ships are expected to be commercially available in the market by 2024 with more than 130 ships from 2024 to 2035. In terms of value, the global ocean surface robot market accounted for $505.7 million in the year 2017. With Europe having the highest market share during the period 2017-2028, the demand for ocean surface robots across different geographies in the near future is expected to be promising. The region is anticipated to witness the highest growth rate during the period 2018-2028 mainly due to factors such as increased investment by the government and the development and enhancement of ocean surface robot subsystems by various companies.